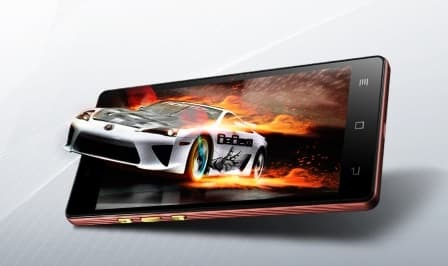 As the nation was celebrating Independence Day, regional smartphone manufacturer Micromax quietly put up details of their new smartphone on the company website. 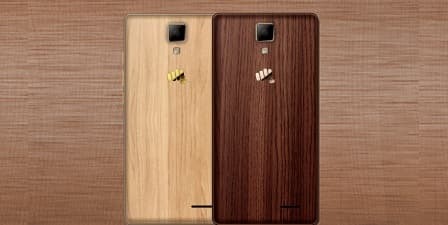 The Micromax Canvas 5 Lite Special Edition surfaced late last night and has made some ripples in the smartphone market thanks to its chic wooden finish. You can buy one with maple or with walnut wood finish. This does not mean that the rear is made out of real wood like you do on OnePlus smartphones. 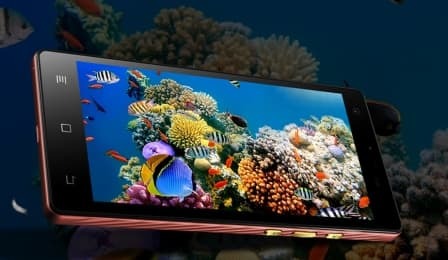 The successor of the Canvas 5 that was launched back in November 2015 does skip on certain features especially its cameras as it has been christened ‘lite’. The Micromax Canvas 5 Lite sports a smaller 5inch HD (1280 x 720 pixels) resolution screen as compared to the 5.2inch on its big brother. Underneath the hood things remain the same with the very popular MediaTek MT6735 SoC that was recently seen on the Intex Aqua Music. In case you missed it the MediaTek MT6735 has a 64-bit 1.3GHz quad-core ARM Cortex-A53 processor, ARM Mali-T720 GPU and 3GB of LPDDR3 RAM to run the slightly dated Android 5.0 (Lollipop). The internal memory of the Micromax Canvas 5 Lite stands at 16GB and you get a microSD card slot that gobbles up cards of up to 32GB. On the camera front, instead of the 13MP camera we found on the Canvas 5 we get an 8MP sensor and on the front things remain the same with the 5MP camera. The Micromax Canvas 5 Lite is powered by a 2000mAh battery that is claimed to provide 150 hours of standby and 4.5 hours of talk time. In terms of connectivity you get 4G LTE, Bluetooth 4.0, microUSB, and Wi-Fi. Pricing and availability details are currently unknown.